Today young people with learning disabilities are delivering powerful messages to Welsh politicians about the social isolation and social segregation of their peers. Young people with disabilities feel they face many prejudices which harms their life chances and well-being. They feel they are too often ‘just existing’ rather than living a good life. They face problems of isolation, bullying, separation from communities and lack of opportunities. These are the messages that young disabled people will be sharing with Assembly Members and policy makers in the Senedd today. These messages are captured in an important report published today by C.A.R.P. (Community Action in Research and Policy) Collaborations in partnership with The Building Bridges Project. 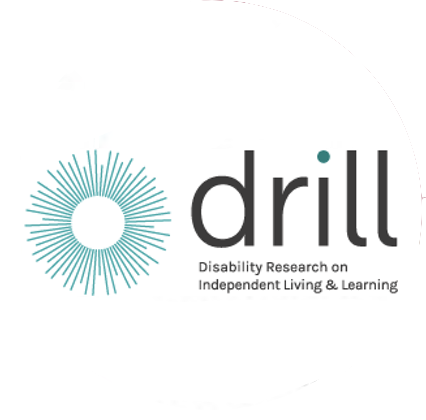 In an innovative and unique research project, funded by the Big lottery Fund through the UK wide DRILL research programme, C.A.R.P. Collaborations has trained and employed 8 young people with learning disabilities as peer researchers. These peer researchers have worked with 85 young people living in the Gwent area to investigate patterns of friendship and social isolation among young people with learning disabilities in transition to adulthood. A peer researcher explains how “we tried to find out what support is needed, how we can move from the experience of ‘existing’ into the experience of ‘living a full life’. We wanted to look at friendship patterns and how they contribute to ‘having fun’ and ‘having a happy fulfilled life’ and how a loss or lack of friendships can create loneliness and ‘unhealthy lives’”. The young people highlight how they found that life was still a daily battle for many young people with learning disabilities. For example, they found evidence of bullying and hate crime. “Many young disabled people were being goaded to do things that they did not want to do, baiting and teasing and cyber bullying. These experiences lead some, young people to drop out of mainstream education, some were too scared to go out in their neighbourhoods”. It doesn’t stop there, young people with learning disabilities are also more likely to experience or be at risk of social isolation and exclusion. They rely more heavily on parents and grandparents and carers to help them get to see friends. They also find they make friends with people at projects but then lose contact once those projects or schemes end. This leaves many only able to keep in touch with their friends electronically.